James Oswald is Scotland’s grittiest crime writer and a true bookshop favourite- in the crowded market of Tartan Noir his sensational Inspector McLean series is a true stand out. 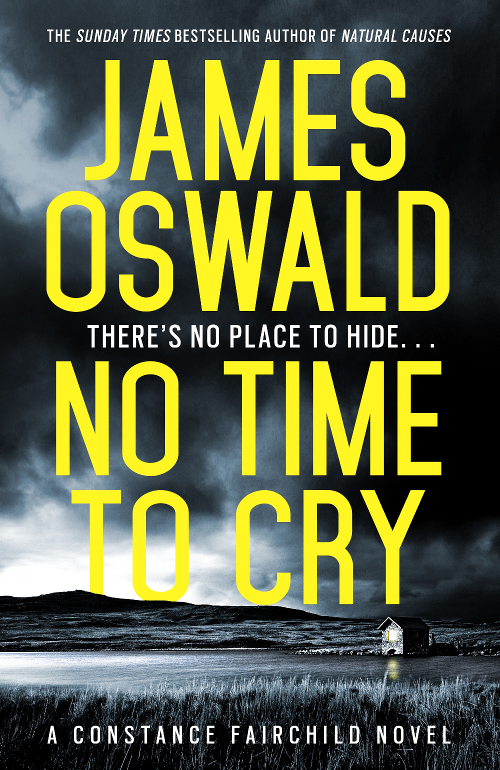 We’re delighted to welcome James to the bookshop for the exciting launch of a new series, with No Time To Cry. Undercover ops are always dangerous, but DC Constance Fairchild never expected things to go this wrong. Returning to their base of operations she finds the bloodied body of her boss, and friend. He’s been executed – a single shot to the head – and in the aftermath it seems someone in the Met is determined to make sure that blame for the wrecked operation falls squarely on Con’s shoulders. She is cut loose and cast out, angry and alone with her grief… right until the moment someone also tries to put a bullet through her head. There’s no place to hide, and no time to cry. The launch of this a series is always a special moment, as it kicks off a number of books that one can eagerly await. We hope you can join us for this brilliant new chapter, from a writer that never disappoints.